Clean, wash and cut the fish, using a little salt and lime. Put it in water with a little kodam puli and keep it aside for 15 - 20 mins. Add coconut, slit small onions and fenugreek seeds. When the coconut turns nice and brown, take the pan off the fire. 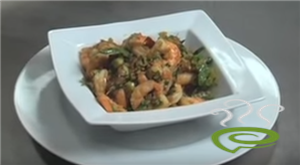 Add chilly powder and coriander powder and sautT in the heat of the pan. Grind them finely with some water into a smooth paste. Add a little turmeric powder to the masala and mix well. Add curry leaves, small onions, green chillies, garlic and ginger and saute well. When onions turn brown, add the ground masala along with a little water. 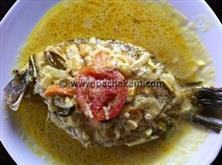 Add the fish along with kodam puli into the masala. 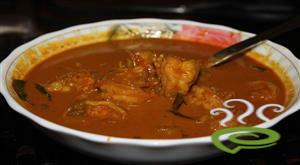 :- Tilt the pan occasionally so that the curry does not stick to the bottom of the pan. :- For mackerels, do not use fenugreek. 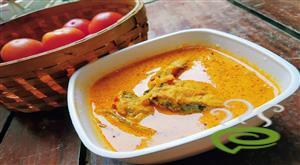 For pomfret and such fish, use just 2 - 3 grains of fenugreek. For sardines, add 4 - 6 grains of fenugreek. 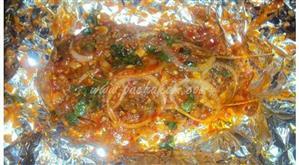 :- Use 1 tsp of coriander powder for sardines and more for other fish. 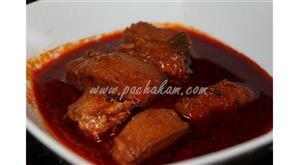 :- Use Kashmiri chilly powder. It gives a nice red colour to the curry. 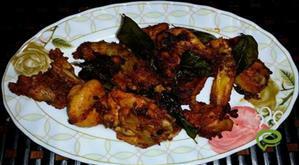 :- Instead of frying the second set of ingredients(Mustard, Curry leaves, Button onions, Green chillies, Garlic, Ginger), you can add everything except the mustard to the fish along with the first masala, without frying it in oil. This especially tastes good for sardines with tapioca. 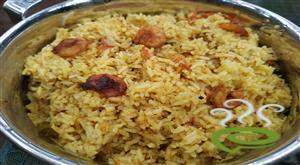 :- Another variation is that you can avoid coconut in the first masala. Just sautT the onions and the fenugreek seeds a little and turn off the fire. Add the chilly and coriander powder and sautT in the heat of the pan. Add enough water as you would need for the gravy to it and grind the above in a mixer. Add to the fish and cook. I have been using this recipe whenever I make a fish curry. It turns out delicious every single time. Thank you very much. The recipe was too good. I was trying fish curry for the first time and it came out very well. Thanks a lot! Hey I have used this recipe many times and every single time...we absolutely loved it. 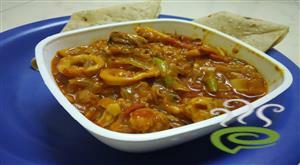 I am not a big fish curry fan but of this ...I sure am...great recipe! This fish curry was amazing. 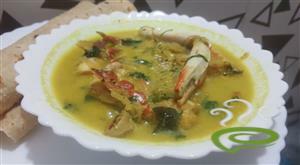 I generally make fishcurry only for my husband and never have it myself. Your recipe really was excellent. This is a tasty recipe.My family loved it.